Some kids grow up with posters of famous movie stars hanging on their wall or famous athlete clothing stuffed in their drawers. Me, I grew up a closet groupie for Itzhak Perlman. I say closet not because I was ashamed or hid it but because none of my other nine year old friends knew who he was. I also loved cauliflower, I had very mature tastes for my age. I guess I could've printed off a picture onto iron-on-paper and made my own cool Perlman Rocks shirt, but we were just discovering google back then, so I couldn't search images and I rarely saw any pictures except for on the C.D. jackets and random news stories or concerts held on t.v. My aunt who lived down the street introduced me to Itzhak. She was classy that way. Anytime you walked past her house you would hear the sounds of Bach, Bartok, or Ravel, floating out her lacy curtained windows. Occasionally, it was the voice of some old guy on fm talking about classical music, but for the most part it was Stern or Itzhak. They became our neighborhood's permanent street performers. 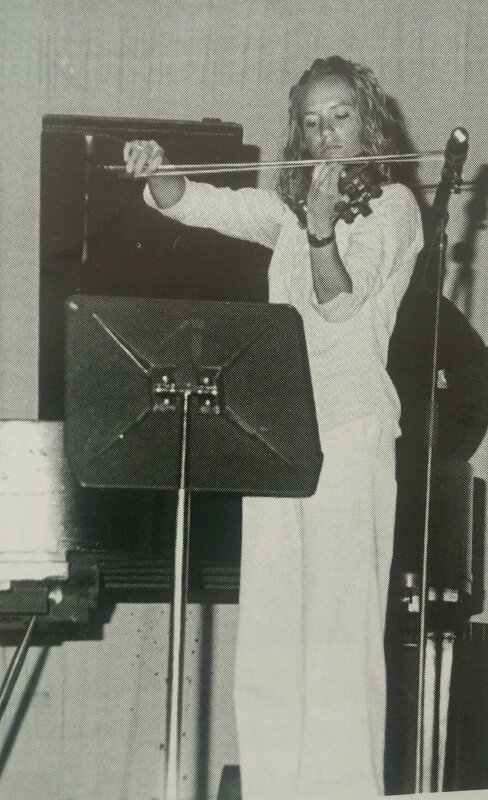 As a highschooler, I was getting Itzhak C.D's for Christmas and playing Schindler's lists in school talent shows. See embarrassing 90's yearbook photo as proof. Needless to say, I love Itzhak Perlman! I can't wait for the Itzhak Perlman documentary (recently released in select theaters). It will be shown as part of the American Masters Series on PBS. I. CAN. NOT. WAIT. Not only is Itzhak Perlman a master violinist, he is a master teacher and has made it his mission to educate future generations of violin greats! I love his advice on adding spice and flavor to our playing. In fact, that is what I am focusing our fun activity idea around today in this Master Musician Lesson. Purpose - Students will create musical and cupcake masterpieces. Musical cupcakes helps students recognize how adding dynamics, playing styles, bowing techniques, and tempos can add to the overall yumminess and excitement of a song. This lesson teaches; expression, musical terminology, interpretation, creativity using music styles, and sneaks in repetition practice without the student even realizing! 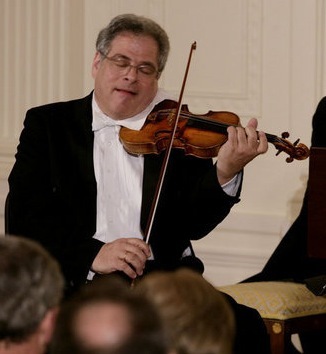 Teach - Teach your students about Itzhak Perlman. You're never too young to be inspired by the greats! This is a great short bio you can use. You may want to point out all that he had to overcome as a boy and how his struggle with polio actually made him want to try even harder. Activity - Use the cupcake cutouts inspired by the quotes from Itzhak and create your own recipe for a cupcake. Then play or sing song of choice using the elements in your cupcake. Volume Twenty Five is where you can find the adorable FREE PRINTABLE, but I must warn you, you may find yourself window shopping all of her BEAUTIFUL art for hours! There a couple of different ways you can use this activity. Write musical style terms on the different cupcake sections. I chose to put dynamic choices on the cupcake wrappers, sound styles on the frosting, and tempo speeds on the toppers. I also thought it would be fun to put things like; stand on one leg, choose one note to hold out, vibrato, etc on the toppers. Add on. Write musical terms on the back of the different pieces. Student's draw one out plays the song after adding each piece. After adding one new thing during each play through, by the third time you are playing the song with three artistic elements! Let the student decide what new style characteristic they want to add to the song and which piece of the cupcake goes with it. They create the music and the cupcake. Tip - This lesson plan and activity works well for all musical classes and students no matter their instrument. If you try this master class music lesson please let us know how it goes! Check back soon for more master class music lessons.